When my daughter was born, I was very fortunate to have my Mama around to help and guide me as a new mother. Her support in those early months was crucial. Though I had experience taking care of children, being responsible for a human being I’d carried myself was vastly different. But Mama shared the wisdom she accumulated bearing and raising four children freely, passing down gems to me as her mother did for her when I was born. There was the admonition to sleep with my daughter during her naps. “I know you WANT to run around the house doing things,” she said as I stood in the laundry room starting a load one night,” especially useful but if you don’t learn to sleep whenever you can, you’ll always be exhausted.” Mama shooed me back to my room and called my sister to do the laundry instead. There was one particular piece of advice my mother gave me which proved to be especially useful: the necessity of being fully prepared. She’d check my daughters’ diaper bag before we left, making sure I had everything we might need while out. I can remember standing patiently as she gently rifled through the diaper when my child was two months old. Sure that I would pass mom’s inspection, this time, I was surprised when she questioned me. We have had a turbulent week in the United States. As I anxiously watch events unfold, I wonder: how many around me are adequately prepared if tensions escalate? ‘It’s always better to have something and not need it than to need it and not have it.’ Mama made an excellent point. In today’s post, I want to discuss a few essential items that I feel Americans should have BEFORE a crisis starts. I got mine. Do you have yours? If you are an American citizen and don’t currently have your passport, I strongly advise you to apply for one ASAP. Sure, you may not plan to live or travel abroad shortly, but I believe obtaining it is a worthy investment. The cost of a first-time passport for an adult(defined as anyone 16 or older) is $110, with an execution fee of $25. The cost of a first-time passport for a child is $80, and the execution fee is $25 as well. You can have your application expedited for a fee of $60. 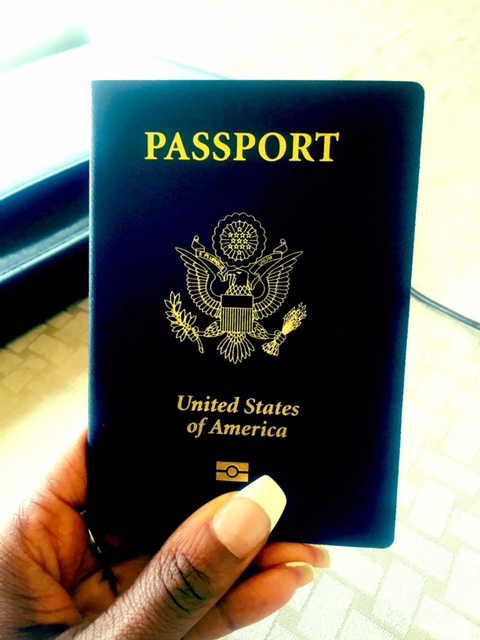 For more information on what you’ll need to get a passport, please visit the U.S. State Department website here. Given how crucial this document is in establishing one’s citizenship and identity, it amazes me when adults don’t have their birth certificate, or don’t immediately obtain another when they lose it. Nevertheless, for your sake, please request it if needed. Some counties will accept online requests for vital records, while others will want you to come in.When I lost my birth certificate, I opted to go to my county’s vital statistics office in person, as I was uncomfortable with having the document mailed to me. A full and current copy of your immunization records is good to have on hand. If you have children, you should have a duplicate of their records too, as you will need them if they have to switch schools. You should be able to request immunization records from your state health agency. If you have minor children in your care, look into getting a full copy of their academic records from their current school district. In the winter I viewed my child’s’ history, and I was genuinely surprised by the volume of documentation her school had! If we have to move, I would need that information as proof of her academic development. And while there are schools who can provide this information electronically, I like the idea of having a hard copy for my use if needed. This is by no means intended to be a comprehensive list! But after talking with my circle and seeing that many do not have these items, I felt moved to write about the topic. Please feel free to share feedback and add your suggestions to the list in the comments. “Dannielle, trust me. It’s always better to have something and not need it than to need it and not have it.” Love your little tales of true experiences, Dannielle.